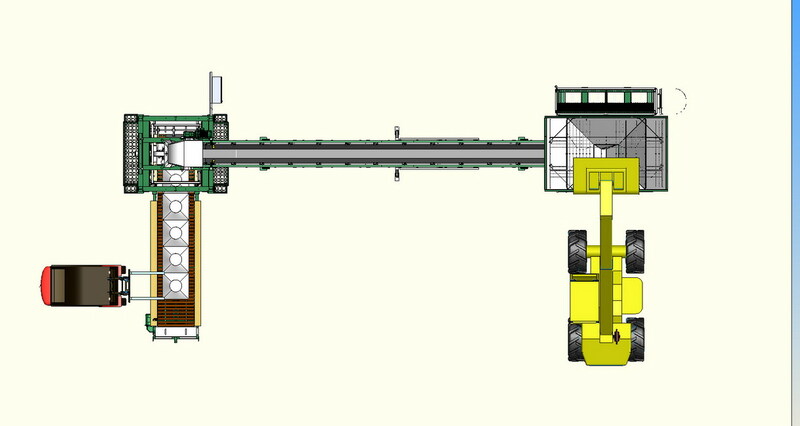 Capacity is 30-40 tons per hour with big bags of 1 ton, 40 bags of 500 kg per hour. Electrical panel is including inside heating and air conditioning. 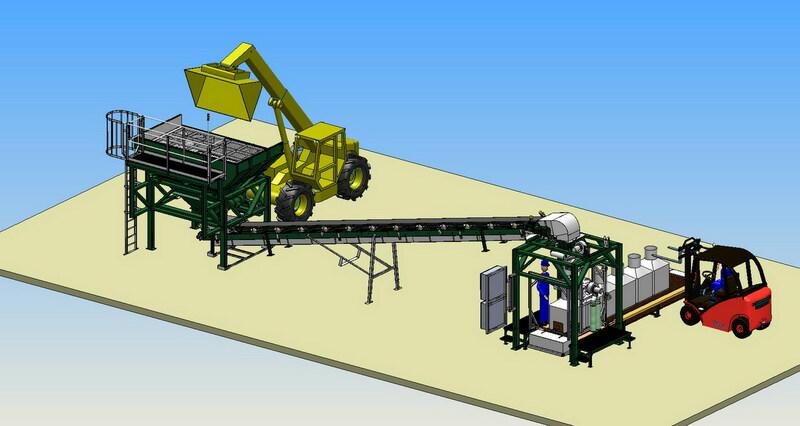 The unit can run automatically and by hand. Specially built for an aggressive surrounding. 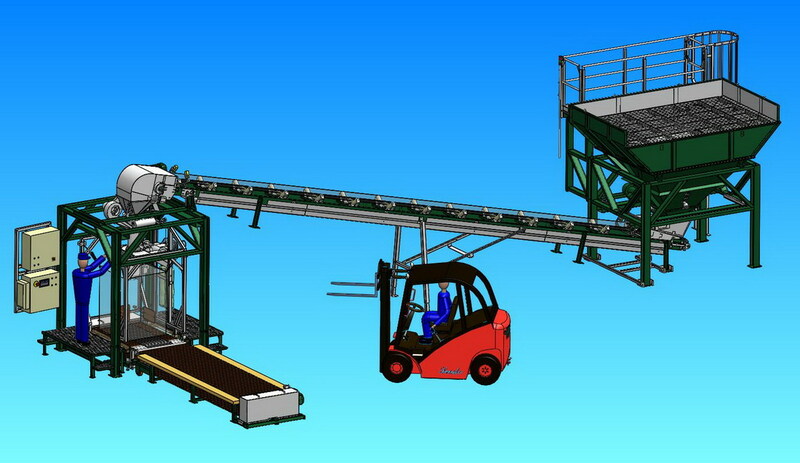 This Big Bag Conveyor filling frame for FIBC Bagging Line is special constructed to have a direct filling by a conveyor. 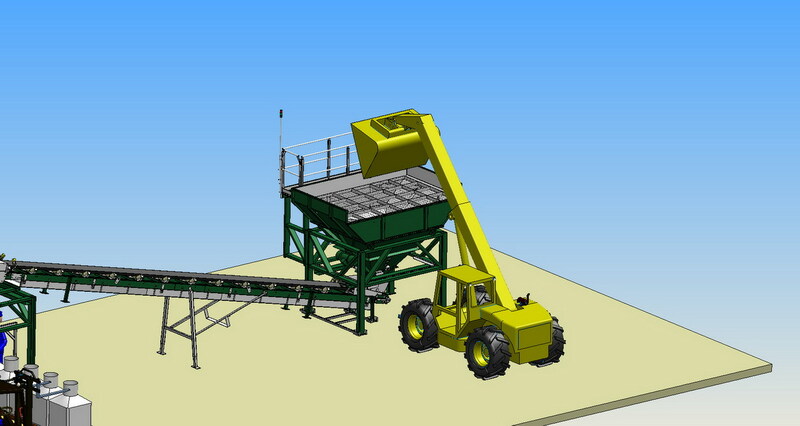 Under the small surge bin is a pneumatic valve mounted for opening the gate under this hopper to fill the Big Bag. The surge bin is unloading in a Stainless steel pipe which fits in the big bag. The scale system is working with a “Weightronix type W130” digital Multi scale. The whole unit is operating with 24-Volt D C Power. The big bag is standing on the platform roller scale on the floor. The filling height of the filling pipe is adjustable in height. The big bag will be held up and closed around the filing pipe by hand so that there will no dust coming free during filling of the big bag. Before the big bag will be filled, a ventilator will blow up the big bag so the big bag has its full size. In this way the bag is standing square on the moment of filling. The wooden slat scale has 4 stainless steel load cells. The frame and chain is constructed of mild steel. 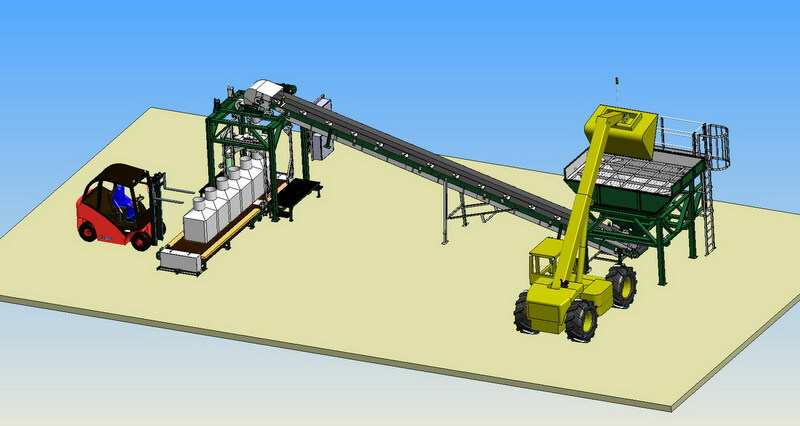 The wooden slat conveyor is constructed on the top of the load cells. 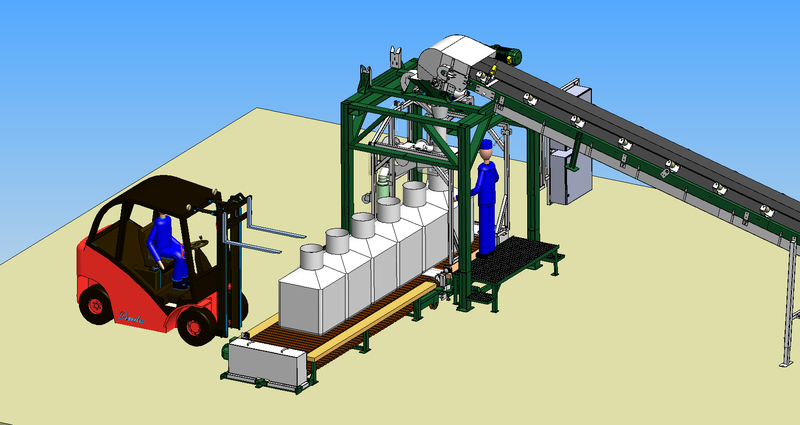 The weigh system is suitable for Weight and Measurements. The weighing accuracy is 500 gr.